We’d love your help. 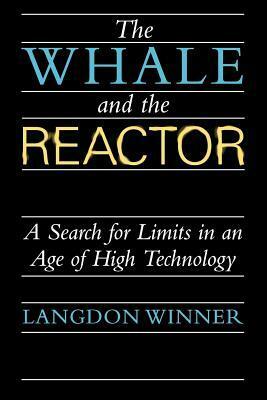 Let us know what’s wrong with this preview of The Whale and the Reactor by Langdon Winner. To ask other readers questions about The Whale and the Reactor, please sign up. An inescapable classic of science and society. A couple of the essays ("Do Artifacts Have Politics?" and "Techne and Politeia") are near-masterpieces. The rest of the anthology will appeal more to the technophobic and "limits on growth" advocates: the arguments are stock, somewhat weak, and more extruded old-hippie academic product than truly first-rate analysis. Highly uneven, and perhaps even a little shrill at times (though justifiably so). It also shows all the hallmarks of an extended collection of essays. But nevertheless full of gems. Abounds with references, conceptual analysis and extended discussions of the political consequences of choosing technologies of varying scale. A keeper. Gives a pretty good overview of changing conceptions of technology...particularly useful for the Frankfurt school as well as the appropriate technology movement in the US. In terms of the overall thesis that "technical decisions are political decisions," it falls too much into the "using technology for different ends" camp. Another well-written, much needed work on our place in the increasingly technological world. Langdon Winner is currently my favorite living academic. Ranty but fascinating look into what various technologies mean, with a somewhat McLuhan-like tint.